Despite doubling in visa rejection rates for young Israelis, US ambassador to Israel stresses the days of the US visa are numbered. 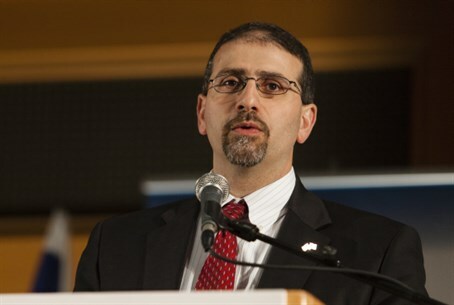 US Ambassador to Israel Dan Shapiro addressed the US visa crisis for the first time late Saturday night, stressing that the White House is working diligently to increase the number of visa applications accepted for young Israeli tourists. "In a letter to members of Congress this week, the State Department announced the decision of the Secretary of State, John Kerry, to ensure that the department will take immediate steps to increase the number of young Israelis that can travel to the US according to our immigration laws," Shapiro wrote, in a Facebook post. Shapiro first summarized the issue. As such, he said, the US "will do as much as possible to encourage Israelis are eligible to visit the US for travel," including opening an internal investigation of the visa process and educating Israelis more about the visa application process. In addition, according to Shapiro, the US is considering opening more "cultural exchange programs" to allow Israelis to work legally for a short time in the US. Existing programs include summer camp and healthcare exchange programs, he noted. "The investigation process will take some time, but we will finish it as soon as possible," he continued. "We will also set up a joint working committee with the Israeli government to begin the process of canceling the visa requirement for Israelis ([the] Visa Waiver Program)." "It will take more time before Israel will meet all of the criteria, but [getting there] is a common goal of both countries," he added. Last week, Kerry announced the internal review into claims that hundreds of young Israelis were being barred from entering the US for political reasons. An initial investigation found that the rejection rate of visa applications for young Israelis ages 21-26 had doubled, from 16% in 2009 to 32% in 2014.